This watch is even more beautiful than then picture, I love it!!!! 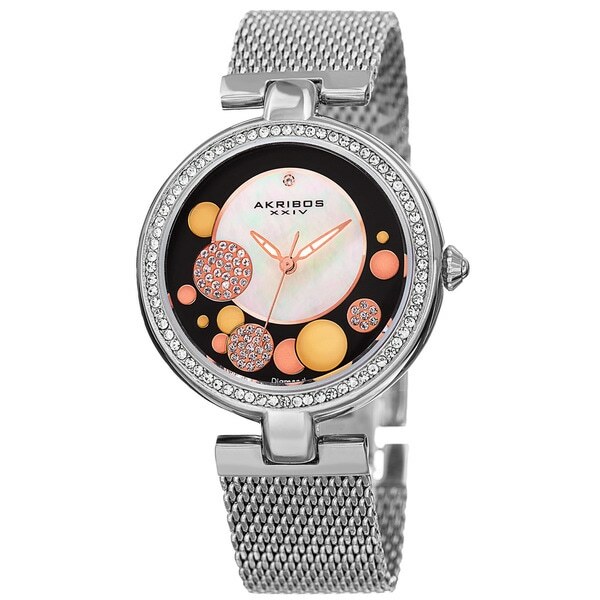 This charming timepiece from Akribos XXIV showcases a sunray dial with a mother of pearl center. A genuine diamond marker and crystal-accented design embellishes the dial. A stainless steel mesh bracelet completes the classy look of this women's watch. "it looks like this watch can not be sized and I have a very small wrist can it be sized"
There are 2 extender links that can be removed from the watch, but otherwise the mesh itself can't be resized.